TURQUIE – Boğazkale - During the construction works carried out by the municipality to widen the road, an eight-room underground city has been discovered in the central Anatolian province of Çorum’s Boğazkale district. The operator of the construction equipment uncovered a cave-like area and informed the gendarmerie. Then museum officials were called and as a result of examinations, an eight-room underground settlement was reached. The museum official Önder İpek said they estimated that the settlement was from the Byzantine period and works were stopped in the area to protect the settlement. He said that examinations in the underground settlement would continue and registration works would start soon. “This area can be open to tourism after the vital security works are done. It is a very wide area and has eight rooms. The widest room is 13x3 meters. A bigger structure including a church can also be found during the works,” İpek said. 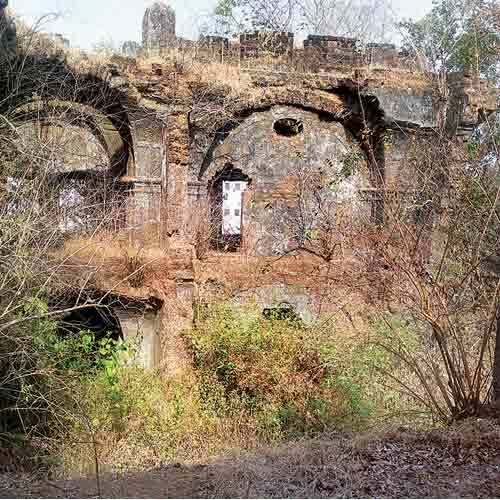 INDE – Vengurla - A 17th century historical structure of a trading post built by the Dutch at Vengurla near the Maharashtra-Goa border is on the verge of a collapse. Though listed as a protected monument by the archaeology department of the government of Maharashtra, there is no sign of protection anywhere. ‘Factory’ is a common parlance for trading posts in history; first British trading posts in Surat were also referred as the Surat Factory. Inside the two-storey structure made of red stone are collapsed roofs, rotting wooden beams and overgrowth of plants. It has a deep well at the rear. The staircase is sturdy and the fortifications on the four corners of the structure for defence with ramps are still intact. Records state that the settlement was used for trade and to launch an attack on the Portuguese in Goa. In 1638 the Dutch settlement at Vengurla supplied food and stores to their ships during their eight-month blockade of Goa. In 1660, it has been mentioned as Mingrela, a large town stretching half a league along the coast, with one of the best roads in India. In 1675, it was again burned by the Mughals. In 1812, the town was ceded to the British. 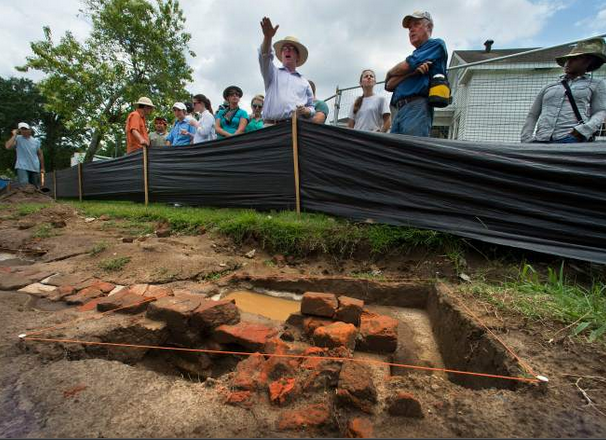 USA – Magnolia Mound - When construction workers at BREC’s Magnolia Mound uncovered what appeared to be an old brick foundation, they stopped digging because they didn’t know what it was. Now, after several days of excavating by an archaeologist, much about the possibly pre-Civil War building remains unknown. Shuman and his team uncovered the brick foundation to a 15-foot-by-15-foot building, he said. Though the foundation had been dug into the ground, he said, the builders appeared to lack experience. “The bricks are a haphazard collection,” he said. “It looks like they grabbed whatever kind of brick they could find and put it up.” There was no mortar between the bricks, Shuman said. One of the first ideas considered by Shuman and his team was that the building might have been a kitchen. “The pottery is without exception antebellum pottery,” Shuman said. “It spans from about 1780 until 1830, but people held on to stuff then, so it may have lasted longer.” Having so few clues to the building’s function makes it nearly impossible to judge when it might have been built, Shuman said. TURQUIE – Çatalhöyük - The 21st archaeological excavation will begin soon in Konya’s ancient settlement of Çatalhöyük, which was added on the UNESCO list last year. he ancient settlement of Çatalhöyük in the central Anatolian province of Konya’s Çumra district, which was included on the UNESCO World Cultural Heritage list last year, expects more visitors this year. If financial resources can be found, four different experimental houses will be built for cultural groups in the ancient settlement. zdöl added that the establishment of a research center was necessary in Çatalhöyük for the analysis of 9,000-year-old findings there, saying, “This is one of our goals, too. Also, we want to build experimental houses for visitors to get information about human life 9,000 years ago. But we need financial resources. If we can make it, four experimental houses will be built on the Çatalhöyük site for cultural groups from Turkey and the world.” The houses will bring to the forefront animal paintings that were important for the people living in Anatolia in this period including figures of leopards, bulls and vultures. In these wall paintings, which are accepted as some of the earliest artworks, leopard skins are seen on people, Özdöl said, adding that in the same pictures, figures of vultures and strong bulls frequently appear. The first excavation work at Çatalhöyük was carried out in the 1960s by British archaeologist James Mellaart and his team. Professor Ian Hodder took over the excavation work at the ancient site in 1993. 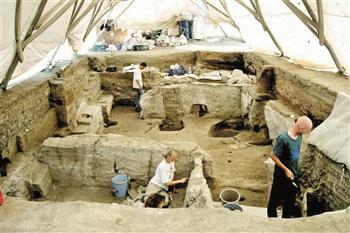 Currently an international excavation team of more than 100 people is working at Çatalhöyük. They are investigating diseases, genetic features and plants and animals in the area. A number of historical artworks have been found during the excavations. 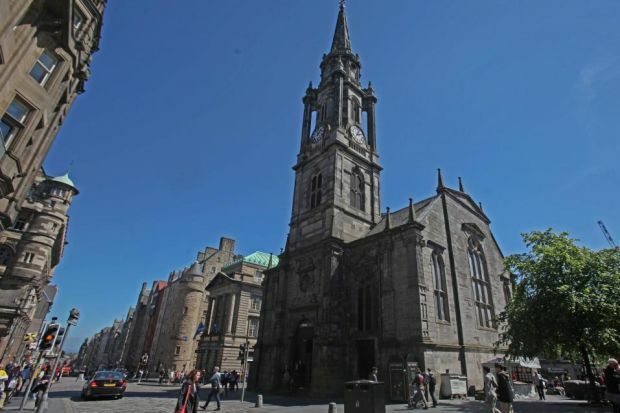 ROYAUME UNI – Edinburgh - Tron Kirk, at the heart of Edinburgh's Royal Mile, has lain largely unused since it ceased to be a functioning church in 1952. Conservation organisation Edinburgh World Heritage (EWH) wants to turn it into a visitor centre telling the story of the city's heritage sites as well as those around Scotland. The Tron, built between 1636 and 1647, has been in council hands since 1972. It houses the excavated remains of the medieval Marlin's Wynd, revealed by digs in the mid-1970s. CHINE – Shandong - A damaged pottery pot of wine has been unearthed in the Western Han Dynasty tomb group, according to Yantai Museum Archaeology Department. The pottery pot, which weighs nearly 2 kilograms, has been sealed up. Under the Han Dynasty, drinking wine was common; therefore, wine has already been unearthed many times in other tombs of the Han Dynasty. But most of the wines unearthed were turbid. It is rare to find a pottery pot containing clear wine and that is over 2000 years old.